October 16, 2017 October 16, 2017 by Beau H.
Are you into the spirit of fall yet? I sure am. The weather is turning for the better in NYC — that means rugged fall layers, casual weekend style and of course, another edition of the best new men’s gear to buy for the season. This edition of The List is going to prep you to take on fall travel, fall adventures and well … just about anything else you can think of, from a brewery visit to a stroll over autumn leaves in your neighborhood park. 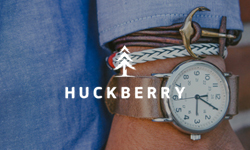 We’ve got picks ranging from a rugged Timex watch to a stylish flannel shirt to a durable growler to stylish men’s socks — and that’s just the start. Swing on by The Style Guide Facebook page if you so please, and follow along on Twitter for more menswear! Cheers. A durable, affordable and pleasingly rugged Timex watch. In need of a stylish leather watch at an extremely affordable price? The handsome Timex Waterbury Chronograph is just what you need. A rugged shirt jacket from a brand that also makes excellent tailored wear. If you thought Billy Reid only made stylish tailored wear, think again — the rugged Michael Shirt Jacket is a perfect example of the brand’s versatility (and it’s been a hot seller, too!). A slim flannel shirt with a tailored silhouette. No better time than fall to break out a stylish flannel shirt — the Briteiro Shirt from Portuguese Flannel is even ready to wear with a tailored suit. A new leather belt for your rotation. WP Standard knows A LOT about durable, investment-worthy leather goods — this Natural Leather Belt is a nice change of pace in terms of your accessories this season. A chunky sweater in the perfect shade for fall. Known for classic men’s denim, the brand is much more. Levi’s excels at durable, rugged knitwear — the Ribbed Crew Sweater features a fall-ready color and the ability to layer under your favorite denim jacket. A neat book to keep handy and reference as you please. Nice work, Monocle. Is this a traditional menswear pick? Not quite. But is the Monocle Guide to Better Living a really cool hardcover book to keep on your coffee table and reference time and again? Certainly. Bring this to a tailgate, a picnic or a house party for all your friends who love craft beer. Whether you’re heading to a tailgate or a house party, a durable growler like this Shine Vessels growler should be a welcome sight for your hosts (and any assembled craft beer lovers). A practical, functional and stylish piece of fall outerwear. OLIVERS is taking its expertise into outerwear with a versatile, easy-to-wear jacket that you can definitely incorporate into your transitional fall wardrobe — we dig the Cobalt color around these parts. A fitting way to carry around your toiletries this fall. Add a bit of rugged fall style to your next weekend trip with this well-crafted Buffalo Check Travel Kit from premium accessories makers General Knot and Co. The Buffalo Check Travel Kit is way more stylish than a regular plastic bag, that much is true. Stylish socks in the ideal weight and color for fall. Wear these with high-top sneakers for sporty, retro vibes. $24 is a steep price to pay for socks — but stylish socks are what you need to complement your favorite fall boots, and Etiquette Clothiers hits a home run in terms of design and comfort with its Sherpa Rib Boot Socks. An Italian-made henley for all your fall layering needs. If you were searching for a henley to wear with a blazer, then you’ve found it. The premium, investment-worthy Billy Reid Speckled Henley is an excellent fall layering move with just about any combo you dream up. Casual sneakers for your next fall weekend trip. These stylish Tretorn sneakers harness the brand’s sporty, streamlined DNA in a fall-friendly way — the use of cool navy corduroy in the upper. Team them with tan chinos, an American-made Oxford and a grey wool blazer for work. 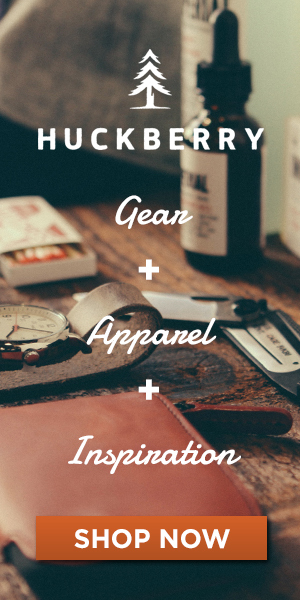 So, my friends — how many of the above #menswear picks caught your eye? Perhaps some of the Sherpa Rib Boot Socks found their way into your shopping cart? Or the Shine Vessels growler for the beer lover in your life? Or better yet, maybe the undeniably great Timex Waterbury Chronograph for hopping from bar to bar this fall? Let’s connect on Twitter — always down for a chat! November 2, 2016 November 4, 2016 by Beau H.
Editor’s note: Get more menswear shopping picks for the season at that link. There are some staples that never really, truly go out of style. From a rugged chambray shirt to a classic blue Oxford, these are the sort of pieces that a well-dressed guy should feasibly have in his wardrobe. And although there are a few other items you should readily have in your closet, it’s tough to dispute the timeless, rugged style of a denim shirt — yes, that’s right. Like the chambray shirt, the denim shirt is a hearty take on men’s shirting, originally worn by rough-and-tumble cowboys, ranchers and guys who needed a shirt that could take a beating. Well, modern iterations are a bit different — cut slimmer and trimmer, with more style-forward washes and detailing, for one. Yet, it’s the type of shirt that can make any guy look good — if you know which one to buy, that is. Its rugged appeal and durability makes it timeless and … you guessed it … essential. Today, we talk five great denim shirts to buy RIGHT NOW. Get more menswear at The Style Guide Facebook page and via Twitter, folks. Made the same way as it was decades ago — and updated with a modern fit and neat style details. If there’s a brand that makes a better denim shirt — or has more longevity doing it — they’ve got a tough act to follow in Levi’s. The brand still abides by the rugged ethos and construction that made its denim the pants of choice for gold miners out West, and the Barstow Western Shirt carries on that same tradition through to the 21st century. Wear this one with the Levi’s 505C to your next concert, and hang onto it the next you want a shirt to wear to the bar with friends. A minimal take on the denim shirt — just as essential for the season. While a denim shirt with a bit of a faded wash is a reliably safe bet, you can never go wrong with a deep, dark blue denim shirt. Scotch and Soda makes pieces that are eclectic and unique in their construction and design, but this denim shirt is a winner — as with the Levi’s option above, it’s the type of shirt to wear to a rock concert, perhaps with a rugged waxed trucker jacket. And for $125, you should give it a go with a grey wool knit tie and burgundy corduroys this coming winter, too. Made in America with classic style details — doesn’t get any better! $145 for a shirt? Oh, yes. And here’s why — the team at Buck Mason knows a thing or two about making premium menswear in America, and this bleached indigo shirt is a fine example. Made from an 8oz. chambray fabric, it features custom-built pearl snaps and a fit that should team nicely with your favorite rugged henley this fall and winter. The color and construction mean it also works for layering under a suede bomber jacket on breezy days. It’s tough to go wrong with J. Crew — this denim shirt is a surefire winner. J. Crew was (and is?) quite possibly the reason behind the surge in popularity of the classic chambray shirt over this past half-decade in menswear, and it’s no surprise that they make a heck of a denim shirt, too. This piece is slim and features a dark wash that should look just right this fall and winter with grey denim — and just as great come springtime with slim stone chinos and classic navy sneakers. A deep indigo dye and sturdy construction make this a fall and winter layering favorite. So, is this overshirt your typical denim shirt? Not quite. It’s thicker, lined with cotton flannel and done up in a deep indigo wash, for one. And it doesn’t feature the typical pearl snaps seen on most denim shirts. However, it gets the nod here because of its versatility, durability and quality construction. The great team at Bridge & Burn puts their own touches on classic staples (including fall’s must-have bomber), and the Flint Overshirt is yet another example of those efforts. It’s easy to layer over a slim pocket tee, and it’ll pair up quite nicely with a stylish henley and your favorite pair of selvedge denim. No matter how you wear it — atop a tee, under a slim cardigan or on its own with the sleeves rolled up — a tough denim shirt is your answer to rugged fall and winter style. In the right cut and with a bit of visual interest, a denim shirt can act as another casual shirting option — think of it as an alternative to your favorite chambray shirt. And it’ll work in the fall and winter, plus the spring — when worn with other seasonal style essentials, of course. Did I miss any picks? Shoot me a note on Twitter, or drop us a line in the comments below. November 1, 2016 October 21, 2016 by Beau H.
Ahh, yes. The hallowed, essential chambray shirt. With its textured cotton fabric, workwear roots and both short-sleeve and long-sleeve iterations, it’s a Style Guide favorite through and through. Now, you might be thinking “Another chambray shirt, Beau? Really?” … really. While we’ve talked about how to style a chambray shirt for spring and we’ve reviewed a great Todd Shelton chambray shirt, it’s high time to circle back around to a style essential that works in all four seasons — especially fall. Those much-welcomed fall breezes certainly have taken their time showing up in NYC, but if the season is finally changing where you are, there’s no better time to style a chambray shirt. And the one we’re talking about today just might be the best out there. Folks, it’s the Taylor Stitch Everyday Chambray Shirt — a piece you might recognize from our Style Pick of the Week series — and it’s made with top-notch Japanese chambray fabric and sturdy double-needle construction. There’s no getting around it, the Everyday Chambray Shirt is the one to buy this season (well, not the only one … but perhaps the best). How exactly to style this thing? 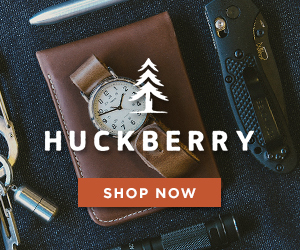 With rugged-refined #menswear essentials, of course. Read on for more. The perfect chambray shirt, worn just the right way for a perfect season in menswear. The Shirt:Taylor Stitch Everyday Chambray Shirt, $118 — Well, you’ve already got a bit of the rundown, but Taylor Stitch made this site’s Approved Brands page for a reason, and this shirt is a huge part of that. With a pleasing blue color, visually interesting front-button chest pockets and the ability to be worn casually or a bit more dressed up, you don’t want to mess with the Everyday Chambray Shirt. The Henley: Flint & Tinder Marled Long-Sleeve Henley, $62 — If you caught this site’s piece on how to style a henley for fall, you know exactly why it’s here. The mid-weight marled jersey fabric is of excellent quality, the fit is modern and the color is versatile. The Denim: Dickies X-Series Slim-Fit 5-Pocket Denim Jean, $29.99 — Since when did Dickies start making slim denim? You’d best pay attention, and snag a pair or two for a great deal and nice comfort. The Boots: Thursday Boots President Boot in Cognac Suede, $199 — The team at Thursday Boots hits another home run with the Cognac suede being used on a few varieties of boots this season, and the sleek President is the perfect boot pick for a rugged ensemble. The Socks: CHUP Missouri Socks, $38 — Colder weather calls for heartier textures and a shot of seasonal pattern – the Missouri Sock is your answer. The Watch: Timex x Red Wing Waterbury Chronograph, $158 — There’s no question that something as tough as a Taylor Stitch chambray shirt needs a watch that stands out in rugged fashion — the Timex x Red Wing line is your best best. The Hat: Carhartt WIP Key Ribbed Beanie, $35 (Available via East Dane) — If it’s getting chillier out, you need a hat to fight the chill. Carhartt — and even its fashion-oriented WIP line — knows a thing or two about that. The Weekend Essential: United by Blue Trail Weekender in Olive, $97.98 — Sometimes, you need a functional, durable bag that just gets the job done; that’s where the Trail Weekender comes in. And in a nutshell folks, there you have it. A rugged piece like the Taylor Stitch Everyday Chambray Shirt is just the kind of ideal finishing touch for fall — it’s got hearty texture, workwear-inspired roots and sturdy construction. All those keys lend it to pairing with like-minded pieces, like a durable henley. The look is grounded with slim grey denim and sleek suede boots, and tough accessories are always a great way to go — particularly when you need to stand up to the chilly weather. The excellent thing about the Taylor Stitch Everyday Chambray Shirt is that it can be kept in your rotation year-round, as we always preach at The Style Guide. For a bit over $100, that’ll make it an essential part of many a fall #OOTD — and plenty beyond. 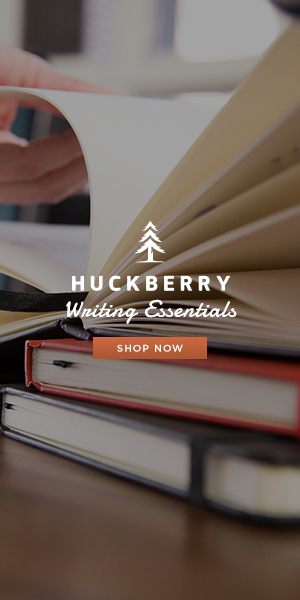 Snag the Everyday Chambray Shirt while it’s still around at Huckberry. October 25, 2016 October 15, 2016 by Beau H.
Here we are, back from a weekend trip to Providence and ready to dive into another #OOTD on everyone’s favorite menswear blog. If you haven’t caught on by now, layering up for breezy fall weather can be fun and enjoyable — whereas dressing for a blustery snowstorm is done more out of necessity, there’s nothing quite like throwing on a few extra layers just because you can. Particularly when one of those layers is a stylish cardigan, perfect for late October weather. Keep in mind that a shawl cardigan would work for fall weather as well, but we’ve added a bit more to the look below. If you pick up the right style — trim-fitting and textured– you can pair it with just about anything (including a durable chore coat). And that gives you plenty of leeway to rock other seasonal style staples (say that five times fast), like a classic poplin shirt, slim black denim and … of course … tough leather boots. We won’t give it all away up here though — scroll down to get the scoop on this #menswear look. And for more daily style inspiration, hit up yours truly on Instagram. Layering a cotton cardigan with pieces equal parts rugged and refined for the fall season. The Cardigan: Dockers Premium Cotton Cardigan Sweater, $98 — Why go with a cotton cardigan in late October? Because it’s blended with cashmere, has some nice texture and can be easily layered over top of (see below for more, folks). The Coat: Apolis Selvage Denim Chore Coat, $228 — This rough-and-tumble denim chore coat is an exclusive piece for Huckberry, and that means you & I are all the better for it. Made in California from Cone Mills denim, it’ll age beautifully the more you wear it. Shop away. The Shirt: Big Flower Stretch Poplin Shirt, $125 — Given the fact that we’re layering just a bit, you want a shirt that moves well, fits comfortably and looks great. Enter this classic stretch poplin shirt; pair it with charcoal chinos and this same cardigan sans chore coat if it gets a bit warm. The Denim: Cheap Monday Sonic Jeans, $90 (Available via East Dane) — When you’ve got a variety of textures up top, it’s best to keep your denim simple. In this case, a no-frills pair of black denim gets the job done & contrasts with the blue selvage denim chore coat. Don’t forget a textured leather belt, yeah? The Boots: Thursday Boots Brown Wingtip Boots, $220 — If you thought the folks at Thursday Boots were done making stellar, affordably priced boots — well, you were wrong. These stunners are perfect for fall. Worried about mixing brown and black? This casual outfit makes that less of a problem. The Socks: CHUP Missouri Socks,$38 — “Nearly $40 for socks? Isn’t that a bit much, Beau?” Well … yes, yes it is. But rather than buying disposable, cheap socks by the dozen, you could snag the CHUP Missouri Sock from Huckberry and be set for the season. The Watch: Lum-Tec Special Edition Combat B30 Bronze Watch, $899.98 — So, first things first — this Lum-Tec watch is a tad bit pricey, to say the least. But it’s a beautifully crafted, durable field watch that’s as suitable for the office as it is for your next fall adventure. The Everyday Carry: Taylor Stitch Raw Brass Keyhook, $32 — Do you necessarily need a made-in-America, raw brass keyhook? Well, it’s not a matter of life or death. But it makes keeping track of your keys a whole lot more enjoyable. And, well … there you have it, folks. Taking a premium cotton-cashmere cardigan from an unexpected source (that would be the chino purveyors at Dockers) and blending it with simple denim and a comfortable stretch poplin shirt can set you up for all kinds of versatile style situations this fall. From a casual Friday at the office to a day in class where you just want to look a bit more put together than the dude next to you, this outfit’s got it all. Hey, you’d be OK with cheap beer for a bit if it means you look great, right? Just me? Ahh, well. And the durable wingtip boots add quite a bit of polish to the whole ensemble, while the selvage denim chore coat serves as both a durable piece of outerwear and a fine addition to the rest of your seasonal wardrobe. Oh, and while that tough-as-nails Lum-Tec watch is just a wee bit pricey, it’ll perform all the better given the extra investment. How would you wear your cardigan this fall? Still need one? Circle back around to our picks for the top cardigans for fall when you get the chance.